Last Christmas, I received 5 pillow forms as a gift. They remained tucked away in my “craft stash” until this summer when I finally got around to finding some fabric and making some fun pillow cases. I knew I wanted them to coordinate with my new(-ish) sofa cushions, but I wanted to bring in a couple of other fun colors, too. So I decided to look for fabrics with blues, greens, and/or yellows. 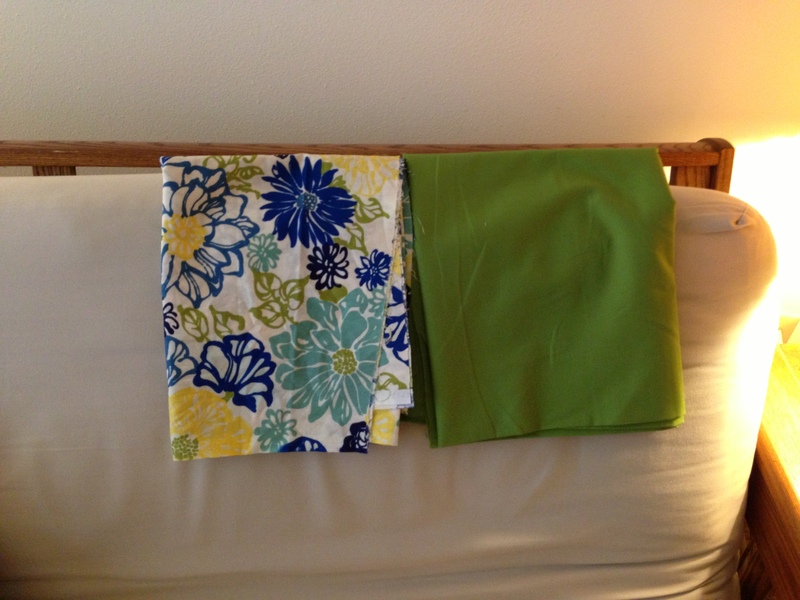 The first two fabrics I found at Joann Fabrics. I instantly fell in love with the funky floral print. Then I found the perfect shade of solid green. I thought the bright color and lack of pattern would work perfectly on the busier pattern of the sofas. The search for fabrics for the remaining three pillows was a little trickier. I had a vision in my head—but of course I couldn’t find exactly what I wanted, especially because I couldn’t use anything with white. It had to be more of a cream color so it wouldn’t clash with the light cream futon cover (seen in the photo above) and the light cream in the pastern of the sofa cushions. After exhausting my usual fabric shops, I started searching the Web. Up until this point, I had avoided buying any fabric online because I was nervous about what the colors would actually look like versus what I saw on screen. 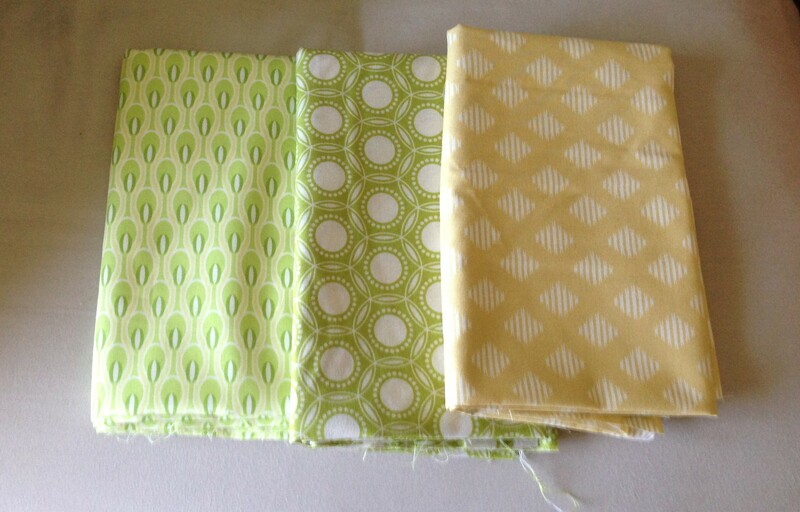 But I took the plunge and found 3 fabrics at Hawthorne Threads that appeared to coordinate with my color scheme and roughly match the vision in my head. I ended up ordering two green prints because I wasn’t sure which I liked better. But once they arrived, I settled on the green circle pattern for three reasons: The shade of green better matched the other fabrics; the presence of more cream broke up the pattern; and the pattern just seemed more obvious. Though the yellow pattern wasn’t quite as bright of a yellow as I had hoped for, it’s still a fun, geometric pattern , which I was going for. The fifth, and final (at least for now), fabric I chose was also from Hawthorne Threads. It was a basic navy and cream (shocking!) striped pattern. When it came to actually making the pillows, I ended up getting in the zone and didn’t take too many progress photos. Luckily by the time I got to the last pillow case, I managed to remember a few. 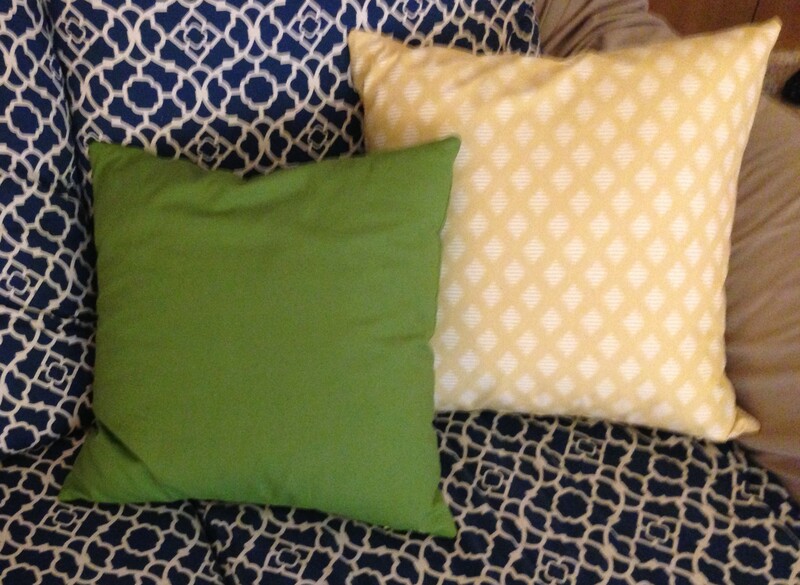 One thing I did was line each pillow case with a solid cream fabric. Lining the cases can prevent the color or pattern of the pillows you’re covering from being visible, especially when using lighter colors in your cases. (I didn’t have to worry about that problem because my pillow forms are all white.) It also makes the cases feel a little heavier and more durable. The lining fabric wasn’t anything special, just a solid colored cotton that I picked up on sale or with a coupon at Joann Fabric. 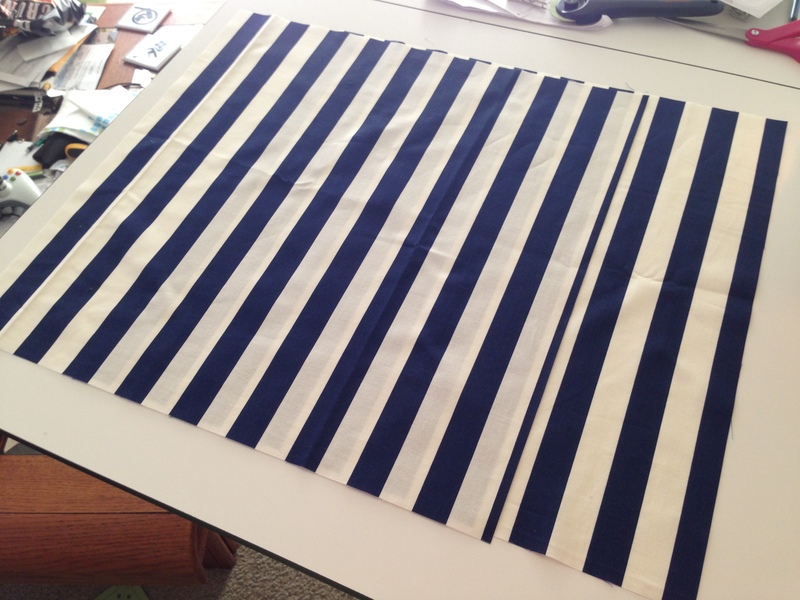 I cut the lining fabric to be the same size as each piece of the outer fabric and then sewed a lining piece to an outer piece, wrong sides together, along one side with a 1/4″ seam allowance. 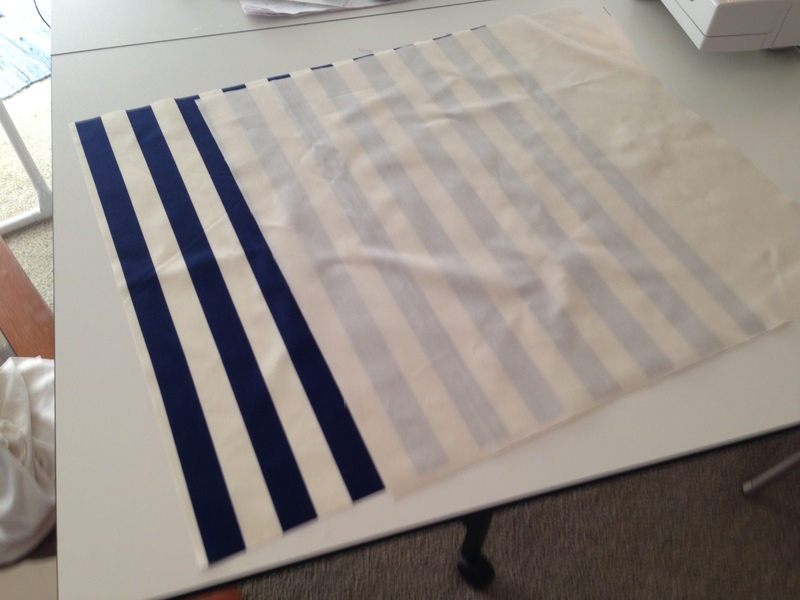 After that I treated each lined piece as an single piece of fabric. The first case I did took a few tries to remember the proper zipper installation, but with the help of my trusty seam ripper, I managed to get there. After getting the zipper sewed on, everything else went pretty quickly. 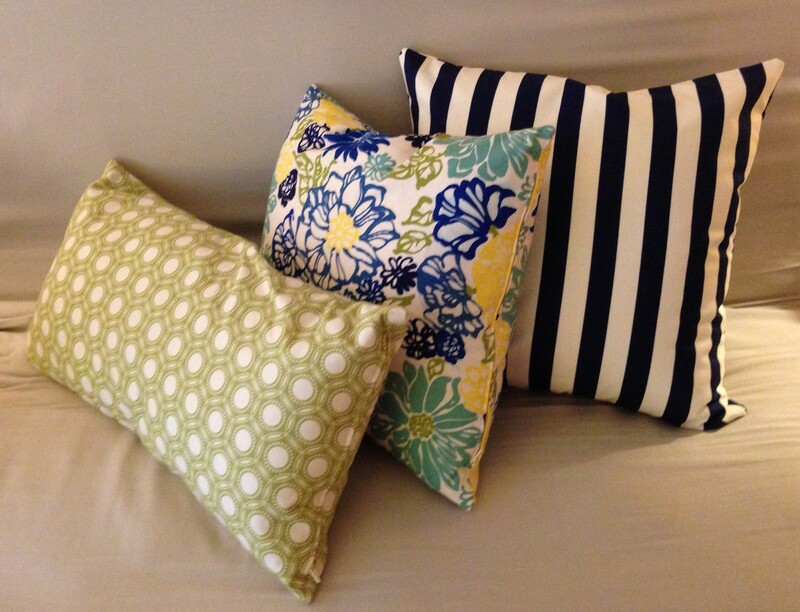 Before I knew it, I had 5 fun new pillows to brighten up my living room! I can’t decide which is my favorite; they’re all so fun and bright. This also happened to be my first real attempt at mixing patterns, and I’m SO glad it didn’t turn out horribly. Has anybody else ventured into the exciting realm of throw pillow cases? Do you prefer zipper closures or envelope closures? I’m looking forward to eventually making some seasonal pillow cases as well so I can switch things up whenever I want. 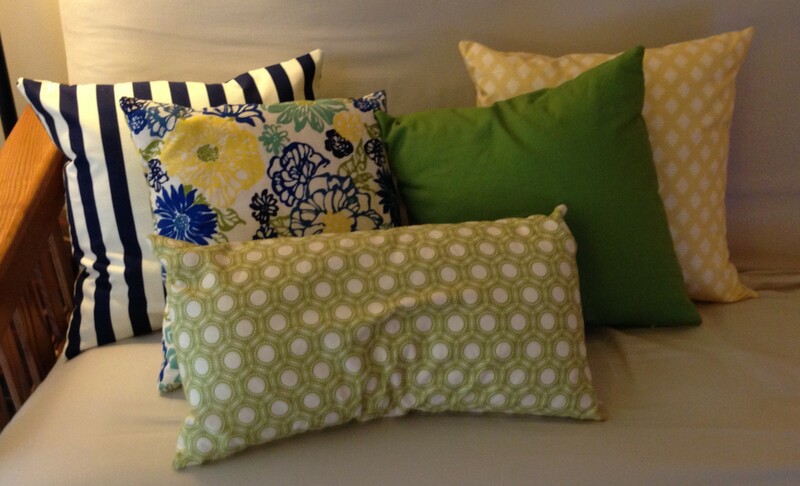 I also have four more throw pillows that I want to make covers for. Nothing says “relax” like a plethora of gorgeous throw pillows in your living room!